The National Circus Project is an educational outreach program, or an arts-in-education program, or a physical education external program AND a cultural arts external program. NCP founder JeanPaul Jenack established in-school circus programs as early as 1974. Ten years later, he and founder Meryl Schaffer incorporated Circus Education Specialists, Inc. as a not-for-profit, tax-exempt corporation. CES, Inc. became the National Circus Project in 1988. Over the past 30+ years, NCP specialists have presented more than 12,000 circus performances and conducted more than 60,000 workshops involving a total audience of over 6,000,000 participants. Our international appearances include the Hong Kong International Arts Carnival, the Clarke Quay Complex Fair in Singapore, the Reuters International Conference in Bali, Indonesia, the Sherwood Forest Festival in England, Moscow’s 850th Anniversary Celebration and a gala performance at the U.S. embassy in Russia. NCP activities have been profiled on television nationally on the Today Show, as well as in Disney “Adventures” Magazine, Parenting Magazine, My Weekly Reader, USA Today, Newsday, The New York Times and more than a thousand other newspapers and online journals. NCP currently serves the northeastern US: New England, New York, New Jersey, Delaware, Washington D.C., Pennsylvania and Ohio. 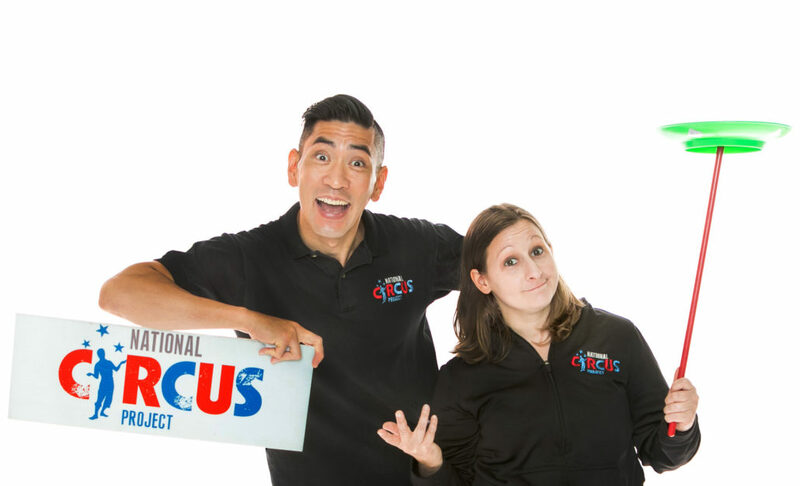 The National Circus Project is working to establish a nationwide network of schools and facilities with circus arts programs, exchanging ideas, instructional methods and materials for teachers at every level of education.